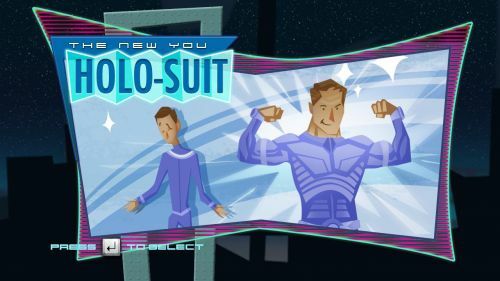 The beta version of the game got some updates as well, a new area called Holo-Suit is now selectable. 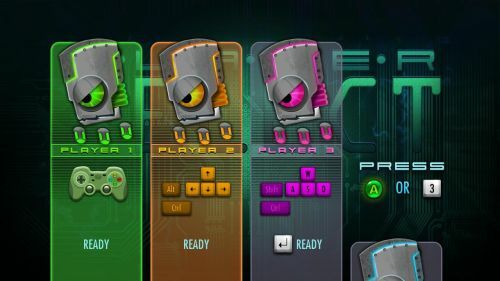 For co-op players, they've made it easier to play local multiplayer; supporting all gamepads/controllers, up to 3 people on keyboards, or any combination of the two. Nice! You can still pre-order the game on the official A Virus Named TOM website for only $5. Doing so gives you immediate access to the beta. Misfits Attic told us they still plan on doing a console version of the game, but their focus right now is getting the PC version polished and ready for release. Page created in 0.4480 seconds.